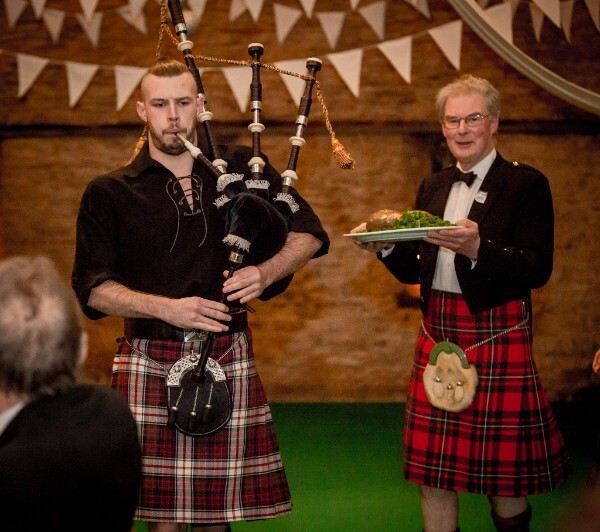 already experienced an extremely successful evening celebrating Burns Night. We are holding another Barn Dance at Caradoc by kind permission of Major Patrick and Mrs. Dido Darling. The date is set for Saturday June 11 so why not book it in the diary NOW! Future events which are still in the planning stage include an evening with Linda Tolchard, and an informal concert from Ian Storey, both of whom have supported The Music Pool in the past. Phase 1 of Early Hurly Burly which ran from September 2014 to February 2016 is completed. Spanning 9 local authorities in the West Midlands, approximately 540 sessions were held in local libraries. We have received a very positive evaluation document on the project, and there is now an urgent need for new funding to run more sessions. In a new venture for The Music Pool, we will be providing musicians and artists to work with Dewsall Court for corporate team-building events. Dewsall Court has also nominated us as their charity for the year. Our other popular early years’ project, SwingBridge, has recently completed 4 years’ provision, with many requests for more. Congratulations to the SwingBridge team: Bym Welthy, Alison Houlbrooke, Pedro Brown. Funding & Fund-Raising: With help from Lucy Wells, The Music Pool has just submitted a bid to The Tudor Trust for support for our core costs. We are expecting a decision on our latest Youth Music bid on April 22nd. One of the Livewire parents has agreed to sponsor the project for a short period, and we have just succeeded in raising a contribution for further youth work, and a new venture with the Probation Service, from the West Mercia Police and Crime Commissioner. We also have a bid in with Global’s Make Some Noise (a national media company) to support continuing children’s special needs work. In the meantime work at Blackmarston School carries on, supported by the Herefordshire Community Foundation. 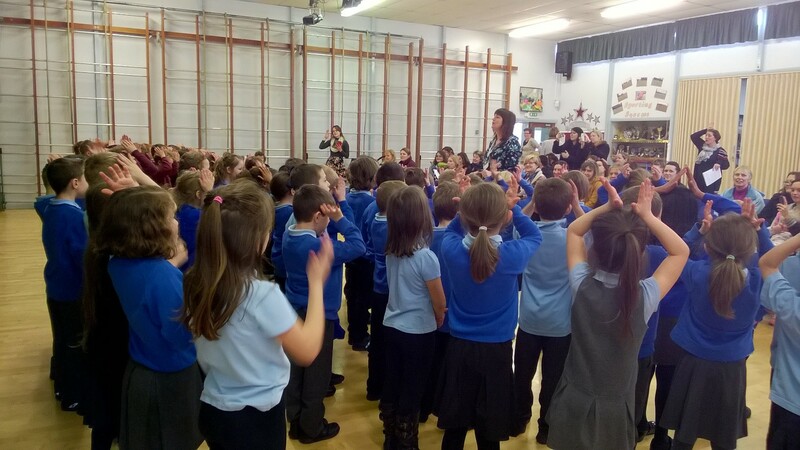 Last term’s schools singing project - Sing Spring In 2016! - reached 45 schools across the county, with 14 different end-of-term cluster gatherings as well as a number of schools singing the songs on their own in assemblies and concerts. During this 4th project, the songs have been sung by over 3000 children, which is a record. Our team of 8 singing leaders, including their leader Jenni Axtell, should all be extremely proud of what they achieved - we’re getting loads of very positive feedback. 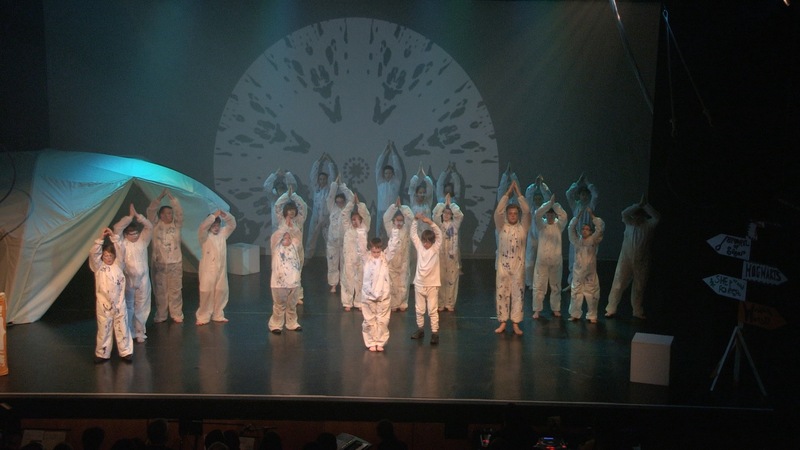 The aim for the National Singing Strategy, which is behind the whole project, is to achieve regular singing in schools - the Evaluation forms received so far from schools emphasize how the project successfully encourages children to enjoy singing, so we anticipate another similar project next year. This is a joint Dancefest & Music Pool production in partnership with The Courtyard. 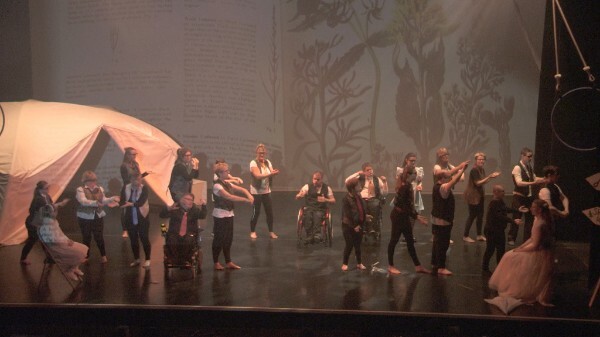 On March 22nd & 23rd the Big Jigsaw presented a performance of The Magical Umbrella performed by disabled and non-disabled dancers and musicians. A brilliant show, visually and musically, it involved nearly 150 dancers and 8 musicians, and moved both sell-out audiences to tears. Young people from Barrs Court, Westfield, Blackmarston, Marlbrook & Regency Schools joined dancers from Hereford College of Arts Contact course, Jigsaw Performance Group, Elevate Youth Dance and Elevate Junior Youth Dance. Due to funding difficulties the Livewire Project is not yet definitely able to provide a Livewire Central week in Summer 2016. 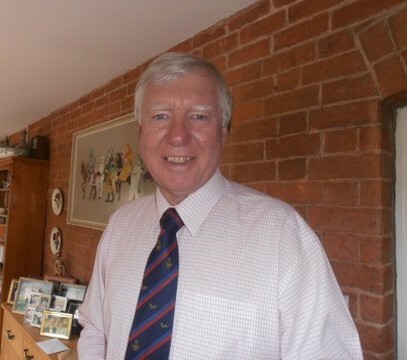 However, after a generous personal sponsorship from Mr Dave Lonsdale, Livewire Tuesdays have been able to continue and grow from strength to strength. These drop-in sessions are producing brilliant songs which are currently being recorded by one of our volunteers, Josh Lamdin, who will be with us through the next term. We have been in talks with Nozstock Festival, Hereford River Carnival and Castle Green Summer Fair, negotiating good opportunities for our young people to perform. We are currently seeking more funding and opportunities to continue and sustain this great project. We are hopeful of securing funding and running another Livewire Central. Livewire Castle Green Sessions run every Tuesday evening 5.30 - 7.30 pm. The Garrick Singers, led by Jon Watson, meet every Monday. There are now around 100 singers joining one of our two sessions on a regular basis. Pedro Brown leads Family Music Makers in fun sessions for parents, toddlers and pre-schoolers every Friday. Yam Jams enjoyed another record-breaking week recently with 71 people (+ carers) attending this music-making workshop for adults with varying Special Needs. The 3 sessions weekly are led by Mark “Lofty” Loughman, in partnership with ECHO (Extra Choices in Herefordshire). Saturday Cafe - Roy Johnson Quartet Sat 7th May The Music Pool when shopping online! Caradoc Barn Dance 7.00pm - Midnight Waitrose and MANY more. Bridget and the Big Girl's Blues Sat 2nd July it's the retailers that make the donation! Yam Jams Tuesdays, Wednesdays & Fridays shopping experience even easier! Your support and donations help to keep The Music Pool afloat. Thank you! Copyright © 2016 The Music Pool, All rights reserved.